I am seeing an uptick in requests about Alternating Current Photovoltaic (ACPV) Modules. 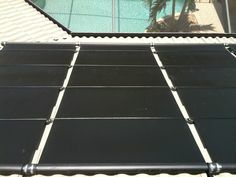 ACPV solar panels are traditional solar electric panels that have an inverter affixed to the back. The module assembly is UL listed as a complete assembly, and is essentially an appliance. Rather than output DC power that needs to be converted to AC for use in your home, the appliance puts out AC energy that can be connected directly to your home’s wiring system. Despite what manufacturer’s may say, these are not the same as the “plug-and-play” solar panel concept, which doesn’t really exist. 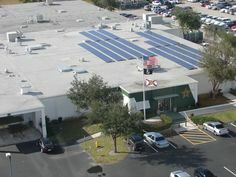 ACPV modules are still required to be connected to dedicated branch circuit wiring and fall under many of the same National Electric Code (NEC) requirements found under Chapter 690 of the NEC. They require a qualified professional to install, and are no less dangerous than a typical solar photovoltaic module. Some have argued that ACPV panels are the next evolution from the current microinverter revolution. 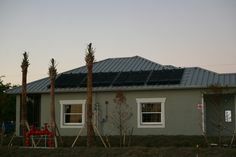 Microinverters convert each solar panel’s energy to usable AC energy, but are not integral with the panel. They mount beneath the panel on rails or to the module frame in some cases. So what are the pros and cons of ACPV solar panels? Simplified installation wiring – no DC disconnects required or DC combiner boxes. 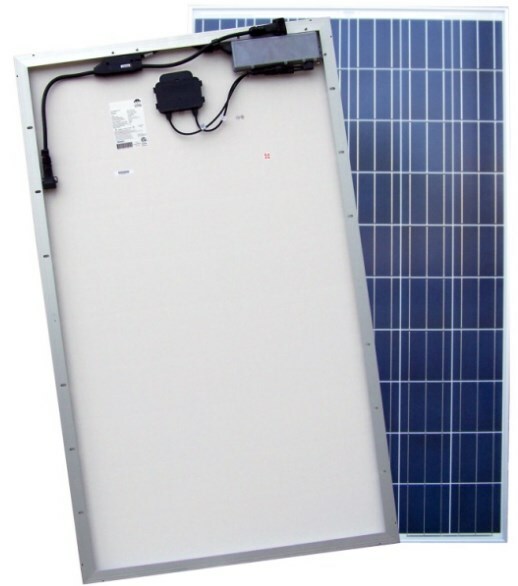 Simplified installation mounting – no microinverter to mount on rails or central inverter to mount on wall. Elimination of many NEC grounding requirements. Per-panel maximum power point tracking eliminates module mismatch losses, increasing energy harvest over string inverters. Reduces impact of shading on solar arrays. Allows installation on multiple orientations and pitches. No high-voltage DC electricity on roof, reducing shock hazard and potentially increasing firefighter safety. No high-voltage DC conductors run through attics and walls, possibly reducing arc-fault potential and severity and fire risk. Reduced chance for DC ground faults. Easy identification of under-performing and failed components. Inverter warranty length typically exceeds string inverters (but not traditional microinverters). Failure of the PV module or attached inverter requires replacement of complete assembly, increasing shipping costs and complexity of service. Proprietary connectors on inverters – questions about long-term serviceability and availability of components. At first glance it would seem that the pros greatly outweigh the cons. However, many of the pros are achievable with traditional DC solar modules with “traditional” microinverters (the word “traditional” is in quotes because microinverters are in their product life-cycle infancy, but this pair is essentially the same thing as a disassembled ACPV module). More importantly the cons offer significant questions about what happens down the road if warranty service is required. While the DC component of an ACPV module is generally very reliable, there are still questions by many about the long-term failure rate of the microinverter component. With traditional microinverters, the inverter component can be replaced separately from the module. Furthermore, a DC module is likely to work with future technology iterations and can always be converted for use in different systems. The proprietary nature of an ACPV module requires that a matching replacement component be installed. Technically an ACPV module could be converted to a traditional DC module, but it’s unclear if it would be properly listed for that intended use and thus be code compliant for any installation other than an ACPV system. Since the panel and the associated microinverter are manufactured by different companies, if the inverter manufacturer goes out of business, I assume the panel manufacture would be on the hook to produce replacement parts for warranty service. This could be difficult to do, but I assume that manufacturers have thought that through (I hope). Remember, you would presumably have to return the entire ~38″ x 65″, 50 pound solar module for warranty service to the solar panel manufacturer. Conceptually, I love the idea of the ACPV module. It is one step closer to “plug-and-play” solar. It makes the job of solar installers very easy. Many of the great advantages of microinverters are incorporated, because ACPV modules are essentially microinverters permanently mounted to the panel. Unfortunately, I cannot recommend ACPV modules at this time due to questions about future serviceability and availability. Some of my colleagues will make the same argument against “traditional” microinverters, but I am convinced that a separate solar panel and inverter makes more sense at this time than an ACPV appliance. If the future of microinverters is bleak, and I don’t think it is, then at least there will be better options for servicing existing microinverter systems. The few cons of ACPV modules outweigh the many pros in my opinion when there are microinverter options available. If you are convinced about the benefits of microinverters over central/string inverters, I would recommend going the microinverter route and avoiding ACPV solutions at this time. Previous Post: Financial Institutions and Green Building Don’t Mix? Good article. However, as head of ops for a CSA certified fabrication facility for ACPV I can tell you that at least one of the brands would easily convert back to a DC module. A simple unplugging of the amphenol connections and unbolting the unit from the back. Also, I don’t see the replacement as that big of an issue. As long as the inverter manufacturer is in business the replacement module should easily interchange(currently finding an existing match for a 5 year old panel is problematic for DC based systems). Current warranties cover shipping both ways and pay a small fee to the installer for the swap. Thanks for your insight, William. That’s good news about the warranty. Would there be any UL listing issues using the module as a standard DC module? I’m not familiar with the specifics of UL listing for an ACPV module. Your right about finding DC module replacements, but I think everyone agrees that the inverter component is the more likely component to fail. I will reach out to our vendors and see about the UL listing. I know how “rigid”, for lack of a better word, UL can be. It’s interesting how ACPV, microinverters, and traditional string inverters are now fighting for market share, and how module manufacturers are hedging their bets about what technology will emerge the winner, if any. Again, I think the ACPV is a great concept, and it makes sense that a simple “appliance” would be the wave of the future. If the few “cons” I mentioned are worked out, it may well emerge the winner. Changing out the microinverter on an ACPV module in the field, just like and appliance part, seems to be an important factor for serviceability. You are right about the rigidity of the UL listing. Ideally, we would be able to convert existing DC modules into an ACPV system one day. We are already seeing interest in microinverters for systems where the string inverter has failed and is out of warranty. Unfortunately, they are often comprised of lower watt or incompatible modules (i.e. Evergreen). I look forward to any information you can provide about the UL listing. I am convinced that acpv will eventually dominate the residential and small business markets. Troubleshooting can then in most cases be pinpointed to defective module. If inverter is at fault it should be fairly easy to match up and adapt with a comparable replacement (even if there is some adaptability issues required as long as ul and safety guidelines are meeting compliance and accepted. More important issue is long run reliability – warranty means nothing if a co. Becomes insolvent! Hopefully good news will be the low % of microinverter failures coupled by the ongoing decrease in microinverter replacement cost. ( grid integration ) Hopefully, ev vehicle power package will continue to progress and compliment pv generation with it’s ever-improving energy-storing capacity. You may very well be right. ACPV may eventually be the way to go once some of the issues are worked out. One thing that might tip the scales one way or the other is standardization of connectors and sizes. If microinverters or ACPV modules all had the same connectors on trunk lines and modules were all standard sizes, then that technology would become plug and play to the extent that you could replace failed or damaged components with electrically and physically compatible parts. With proper and standardized safety mechanisms, ACPV modules could be a step toward the dream of plug and play solar. We let people string together Christmas lights that are often rated for no more than two strings, but we know people will daisy chain three or even four strings of lights. If we could guarantee that people would not overload a branch circuit with a plug and play solar energy system, perhaps we could start a revolution. Again, standardization is the key in my opinion. I don’t see EV batteries as a strong contender for distributed storage for homes and businesses in the near-term, but it could happen some day. Once again, standards would need to be established.